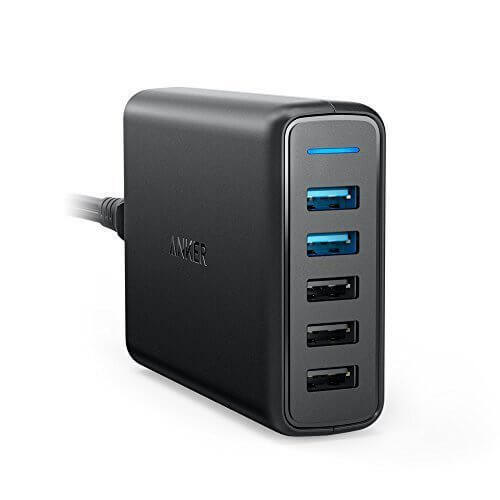 While two of the ports support Quick Charge, the other 3 ports on the Anker charger support own technology, PowerIQ. This technology figures out what type of device you have connected to it and optimizes the charging flow to that device to assure a safe charge at maximum speed and efficiency. All Anker products come with an 18 month warranty and have a durable finish to them that allows them to stand the test of daily wear-and-tear but keep looking good while doing it. It is compatible with any Android device or iOS device and you can, of course, mix the two for the entire family to use. The price on the charger is through today only. Head over to Amazon for more details.